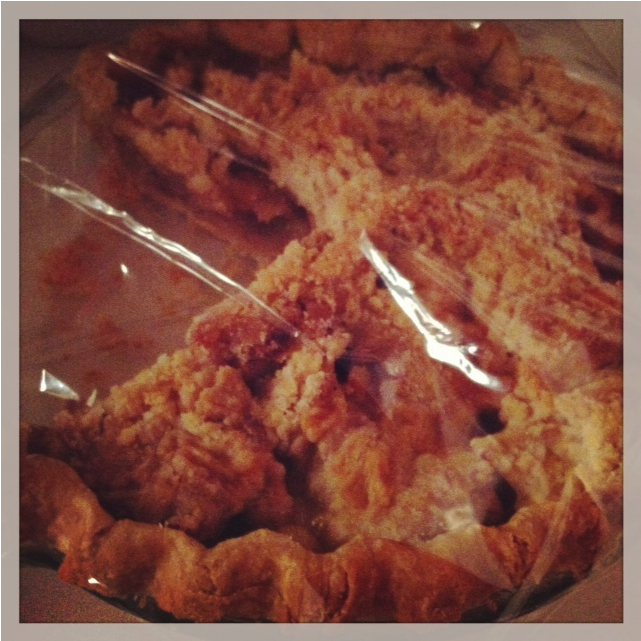 Apple pie at night. I made two of these for our Veritas Not-A-Banquet. This is what remains.